* Note: Canister Fuel Not Included. 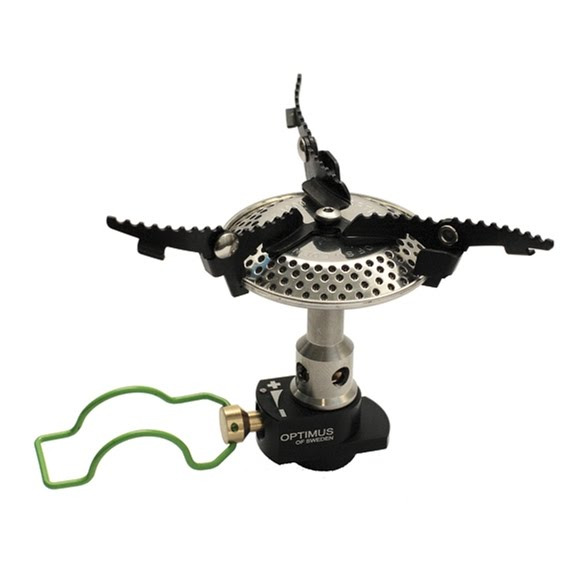 If you cut off your toothbrush handle and trim tags off jackets to shave weight on your ultralight backcountry adventures, get even more serious with the Crux Lite stove. It has all the performance of the regular feather-light Crux but pares away another 11g by eliminating the folding mechanism. * Note: Canister Fuel Not Included. If you cut off your toothbrush handle and trim tags off jackets to shave weight on your ultralight backcountry adventures, get even more serious with the Crux Lite stove. It has all the performance of the regular feather-light Crux but pares away another 11g by eliminating the folding mechanism. Dependably strong, this stove has a powerful, stable 3000w burner that distributes heat superbly. Satisfying the growling monster in your belly will be fast and easy with precision simmering, fast boiling, and no spot burning. Not quite as flat as the Crux when stored, it still tucks nicely into any unused nooks and crannies in your cookware. Down to 3 minutes boil time (1 liter/34 oz) - depending on climate, altitude etc. Dimensions 3" x 2.2" x 2.3"